Product prices and availability are accurate as of 2019-04-20 07:40:44 EDT and are subject to change. Any price and availability information displayed on http://www.amazon.com/ at the time of purchase will apply to the purchase of this product. 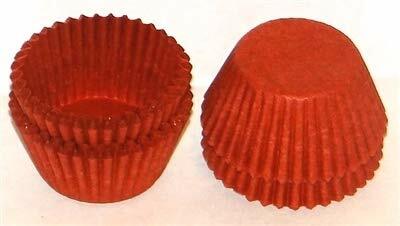 FREE SHIPPING #4 Red Glassine Paper Cups 200 Pack 1" Base x 3/4" Wall Top Quality paper candy cups. We ship these items in a box for protection during shipping. All shipments include tracking.